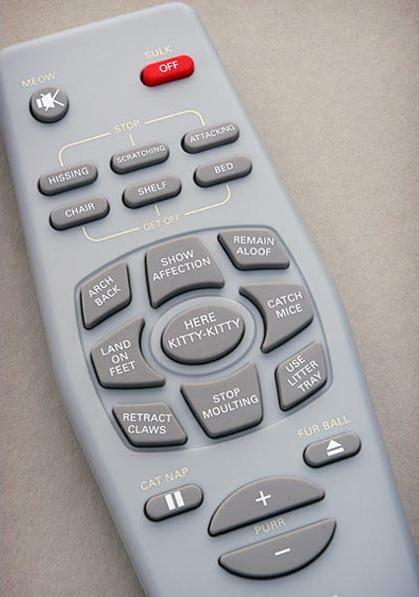 It appeared on Apartment Therapy first and now on Fakemodo: Control a Cat remote. Hilarious! My favourite buttons are purring volume controls and the eject fur ball button. Read the operating instructions. Hee hee!